At the age of fifteen, Kelle Groom found that alcohol allowed her to connect with people and explore intimacy in ways she'd never been able to experience before. She began drinking before class, often blacked out at bars, and fell into destructive relationships. At nineteen, already an out-of-control alcoholic, she was pregnant. Accepting the heartbreaking fact that she was incapable of taking care of her son herself, she gave him up for adoption to her aunt and uncle. They named him Tommy and took him home with them to Massachusetts. When he was nine months old, the boy was diagnosed with leukemia-but Kelle's parents, wanting the best for her, kept her mostly in the dark about his health. When Tommy died he was only fourteen months old. Having lost him irretrievably, Kelle went into an accelerating downward spiral of self-destruction. She emerged from this freefall only when her desire to stop drinking connected her with those who helped her to get sober. 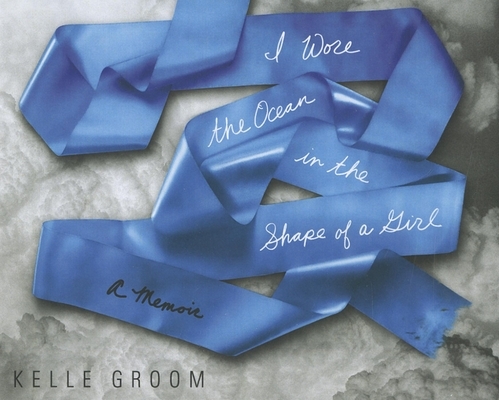 In stirring, hypnotic prose, I Wore the Ocean in the Shape of a Girl explores the most painful aspects of Kelle's addiction and loss with unflinching honesty and bold determination. Urgent and vital, exquisite and raw, her story is as much about maternal love as it is about survival, as much about acceptance as it is about forgiveness. Kelle's longing for her son remains twenty-five years after his death. It is an ache intensified, as she lost him twice-first to adoption and then to cancer. In this inspiring portrait of redemption, Kelle charts the journey that led her to accept her addiction and grief and to learn how to live in the world. Through her family's history and the story of her son's cancer, Kelle traces with clarity and breathtaking grace the forces that shape a life, a death, and a literary voice. Kelle Groom is the author of the three poetry collections "Five Kingdoms," "Luckily," and "Underwater City" and the recipient of two Florida Book Awards and numerous fellowships for her work.